Backed by data from reputed sources, these charts provide a great insight into where opportunities lie for our children. Learning to code provides your children with the skills needed to capitalize on these opportunities.  What to Do Next : Learning to code sets your child up for unprecedented level of college and career success. See if our program is right for your child. 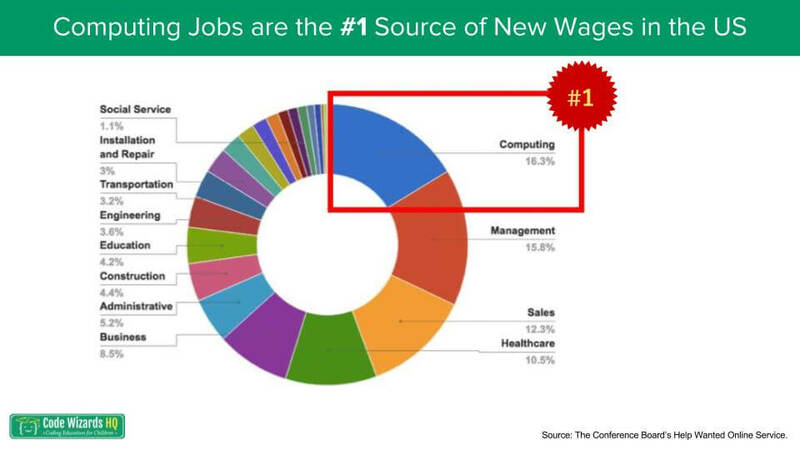 There are an estimated 500,000 current job openings in the computing field today. These jobs are in every industry and in every state. It they are projected to grow at twice the rate of all other jobs. Despite the significant focus on STEM, what is missed out is that 71% of all new STEM jobs are in computing. 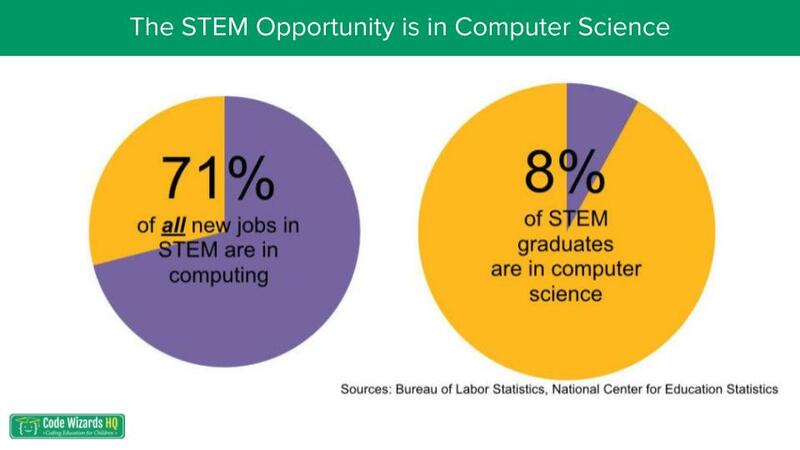 However, only 8% of STEM graduates are in computing. This mismatch create significant opportunities for children with computing background. It is a lucrative field to be working in. 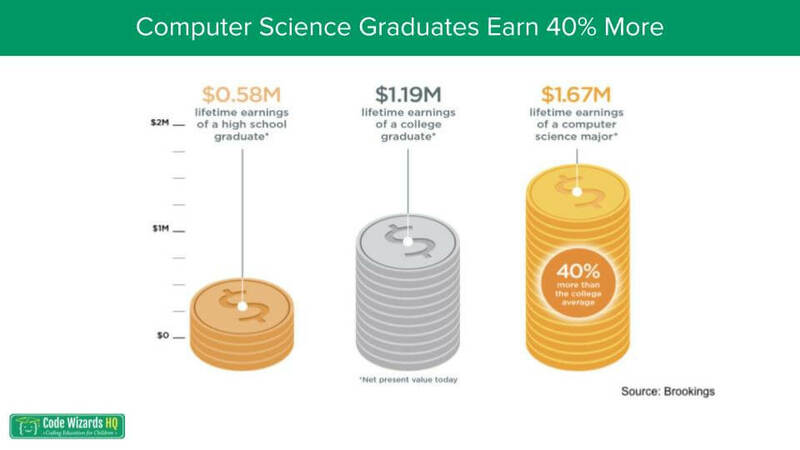 The average lifetime earnings of a computer science graduate is 40% more than other college graduates. The gap between demand and supply continues to increase resulting in increases in wages for people with computing skill. This is important particularly for girls. During middle school, children are more open to learning new skills, tend to believe computing as cool and the gender stereotypes haven’t set in that hard. 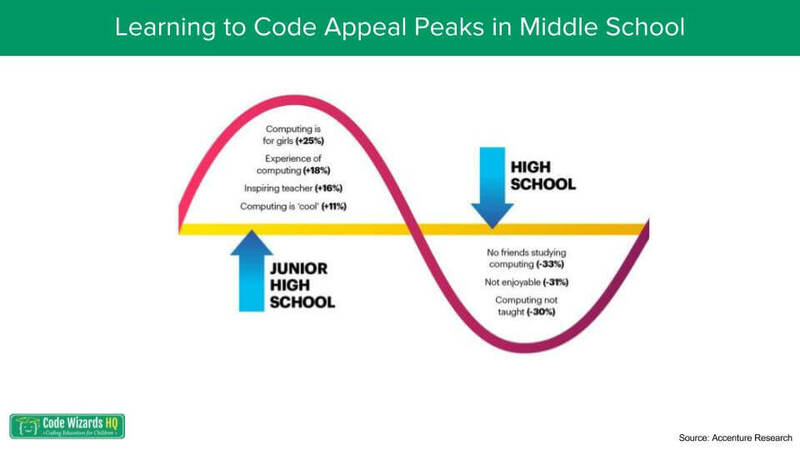 79% of working professionals got their first serious exposure to coding in middle school. 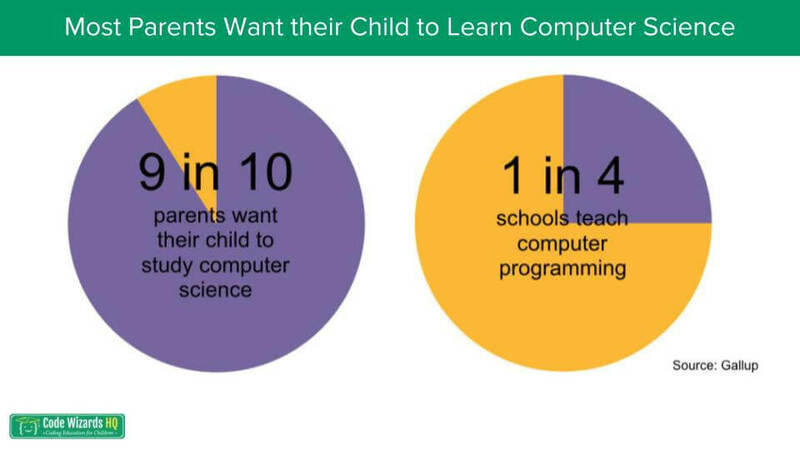 More and more parents are seeing the broader trend and want their child to learn computer science. Since most schools don’t offer it, parents are enrolling their children in supplemental coding programs for their children to acquire these skills. There was a 204% increase in the # of students taking AP computer science in high-school. Students are starting to recognize the value of a high-school computer science courses. 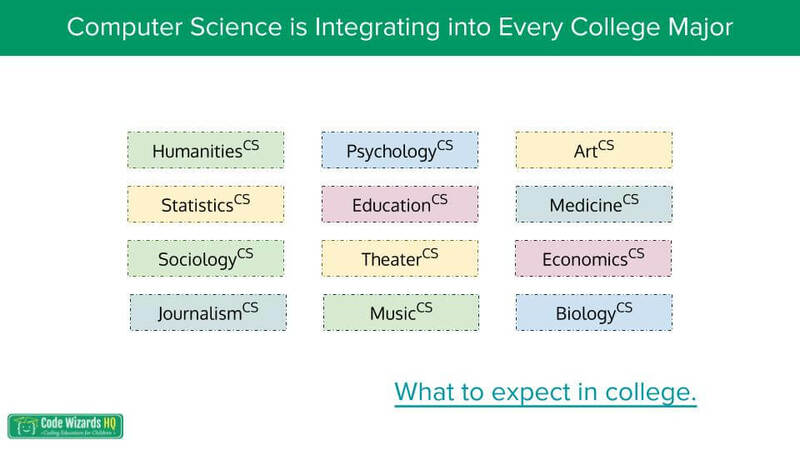 It leads to a future in 130 career areas and 48 college majors. As computing enters every aspect of model life, college education is also starting to reflect that. Some of the recent advances in many fields are being powered by the integration of computing to those fields. 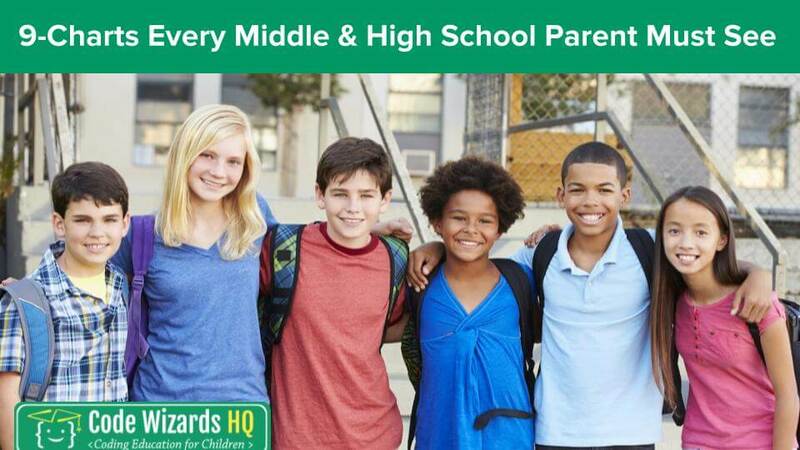 Watch this video to see what you child can expect to see when they get into college. 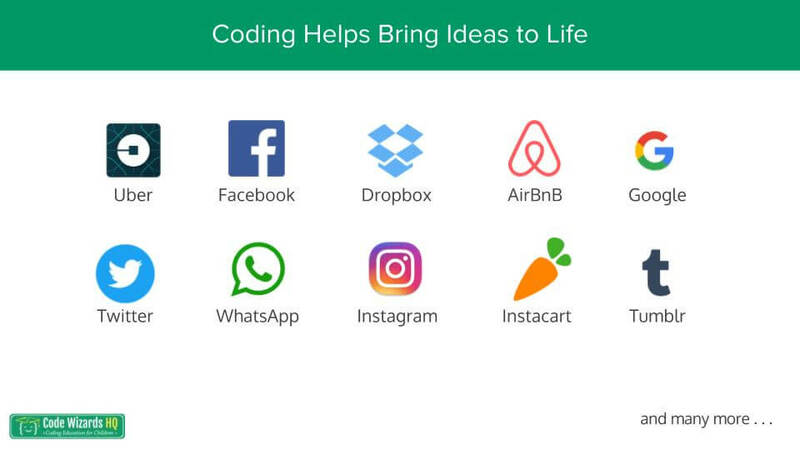 Some of the big companies that we know today are being founded by individuals who knew how to code. When they know how to code, an idea doesn’t die after a conversation. They build a basic version and see how people react to it. When there is a positive response, they build on it. Airbnb, Instacart, Dropbox was all build that way. By giving them the skill of coding, you can give wings to your child’s ideas. 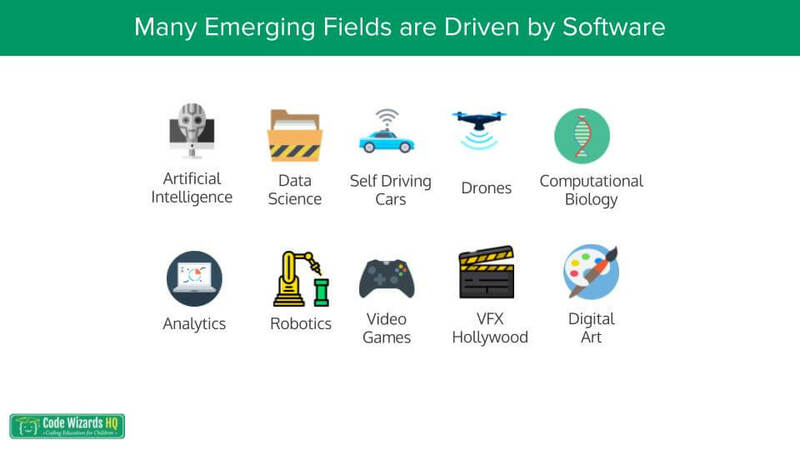 The exciting fields over the next 10-20 year that our children will make their careers in are all driven by software. Knowing how to code gives them an edge to thrive in these jobs of the future.